There’s a new noise coming from the depths of Connecticut — it’s distraught to the point of interest, yet collective to the point of cohesiveness. Spillway, one of the most intriguing unsigned acts to grace the East Coast, has released its debut EP, As Astronauts or Atoms, and the record does little to disappoint. Full of diverse numbers that engage listeners and transcend boundaries of traditional alternative rock music, it’s clear upon first listen that Spillway is a band not afraid to push the limits in its songwriting. There are times when the music is chaotic, times when it is popularly melodic, and times where the music is simply astounding. Accessible by free download on Bandcamp, it’s a record that music lovers should stop sleeping on immediately. There’s a strong musical juxtaposition found throughout the duration of the record. Songs like “Mantra Chanana” have an essence of late ’90s rock gleam, without being too over-the-top about the delivery. It’s subtle and addictive — making it arguably the highlight track of the record. It’s a song that builds — it pulls and sways without being so loud that it turns the listener off. Sang by guitarist Lucas Bickford, it contains an awkward beauty. But there’s more to Spillway than the traditional alternative music. The band that is calls itself the “alternative to what?” mixes and matches different elements of music so cohesively that listeners across the entire spectrum of alternative music can find something to embrace and enjoy. A song like “Atlas Carried” is heavily majestic and abrasive, while a number like the record’s opener, “The Enlightenment,” is thoughtful and melodic. There really is something for everyone on this record. Singer Matt Palmer mirrors the styling of Brandon Boyd so well it’s almost scary. He has the vibrato and emotional shift to his voice that is so important to frontmen and women in today’s scene. To keep it simple, dude’s got the chops one needs to have to make a difference in the scene. Listen to the lo-fi and climactic record closer, “Low Tide,” to hear Palmer present an unforgettable delivery. The harmonies and dueling vocals ebb and flow through the record, creating an out-of-this-world dynamic that is unforgettable. 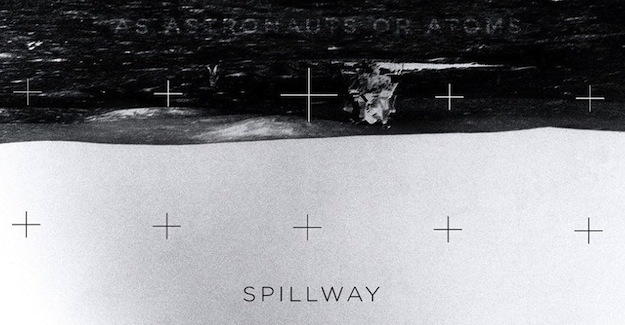 Spillway’s As Astronauts or Atoms is as unique of a debut record as unique could possibly get — and that’s not something to complain about. Download As Astronauts or Atoms for free here.